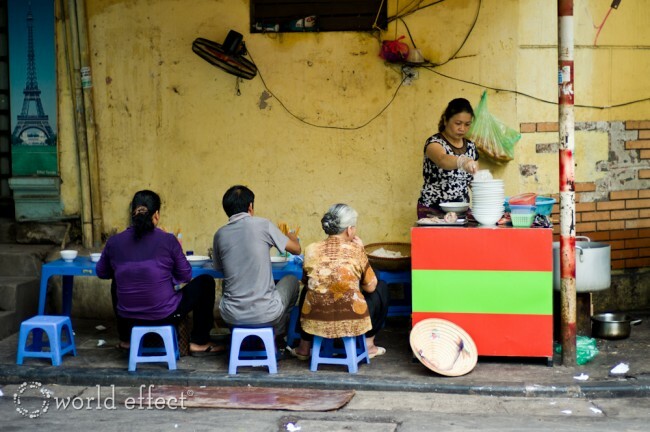 The single most common feature of Hanoi is the street side eateries. I really can’t call most of them cafes because the majority of them are made up of three main components: plastic stackable stools, a burner and a large pot. That’s the basic set up, then some will have a few tables to go with the stools and maybe a cooler and something to hang a duck or two from. 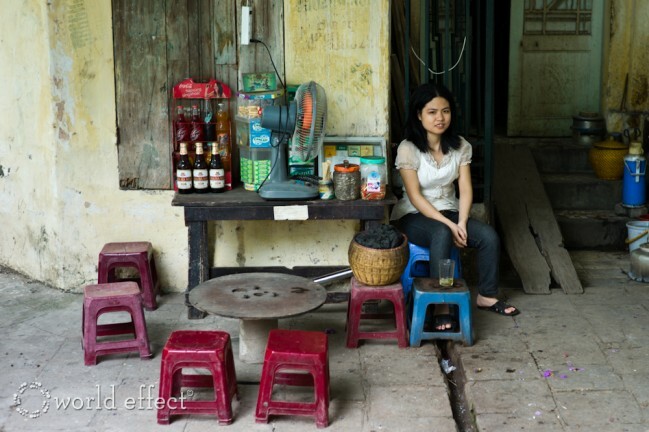 In the old quarter of Hanoi, there is probably 5 or so of these places on every block, seriously, every block. I woke up around sunrise one morning a saw how mobile these restaurants are. Several women were walking to their spot on the sidewalk with their entire restaurant contained in two baskets on either side of bamboo stick slung over their shoulder. 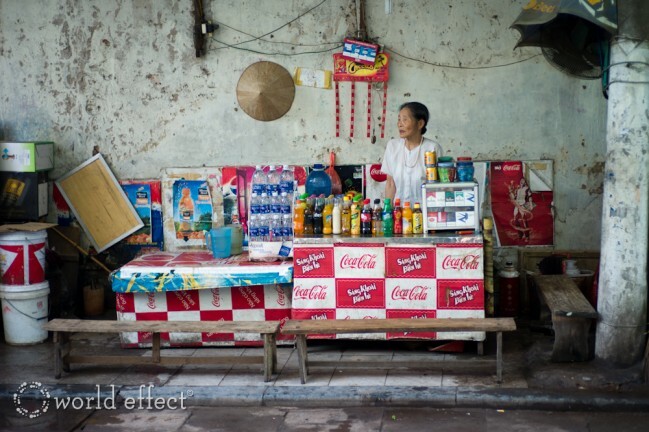 I loved eating in Vietnam – Hanoi especially. A walking tour we took (Hidden Hanoi – I recommend it) explained that these vendors swap out their spot during the day, so it might be Pho in the morning and then a grill spot later and then a Bun Cha place even later. Like a rotating taste sensation!! Hi Gillian, thanks for the tip. 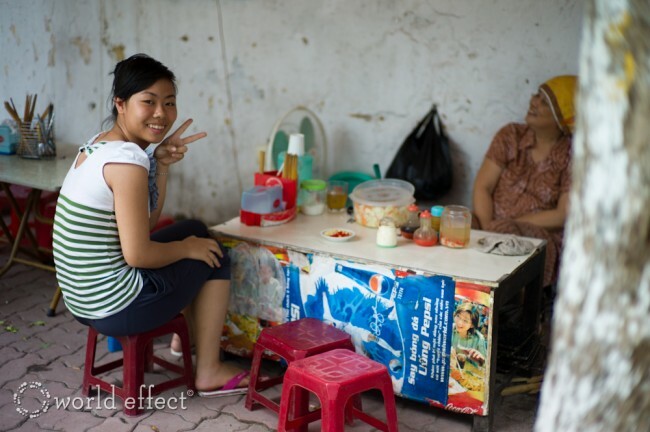 It’s interesting how much of daily life revolves around the food here. I just re-watched an Anthony Bourdain TV show in which he declares his intent to move to Viet Nam at some point. And years ago when I saw him at a book signing, he mentioned that Viet Nam was his favorite country of those he’d visited, extolling the food. Hi Marcia!! Thanks for commenting. Yes, I’ve heard that he likes Vietnam. We’re A.B. super fans… does he sign his books Anthony or Tony? 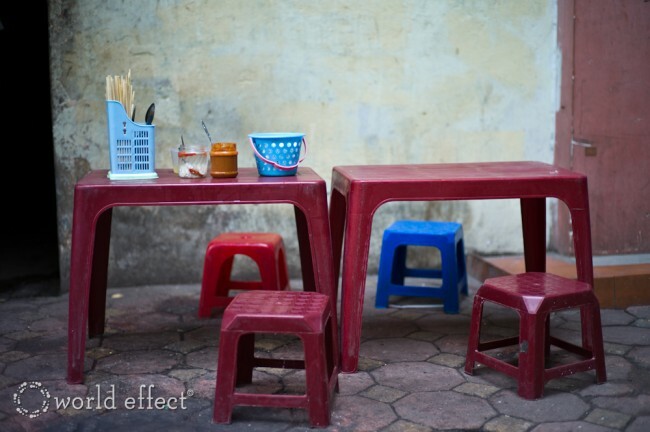 I, too, loved eating on the streets of Hanoi. It didn’t matter what time of day it was, there was always someone ready to serve. Fabulous. Thanks for commenting Mary. 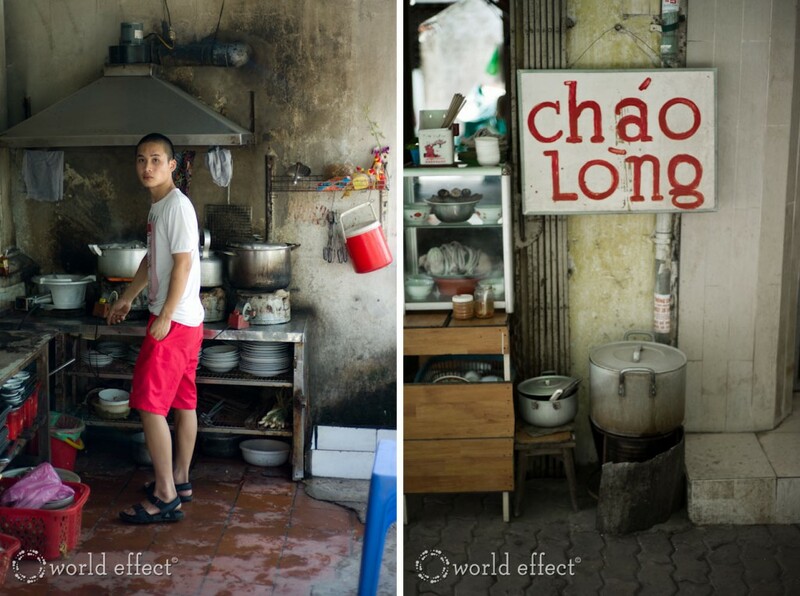 Agreed, you can never go hungry in Hanoi! Cool post. Thanks. Reminds me of preschool lunch setup. Later we’ll have art. Then naptime. That one woman really has the marketing, signage, display thing down, doesn’t she?